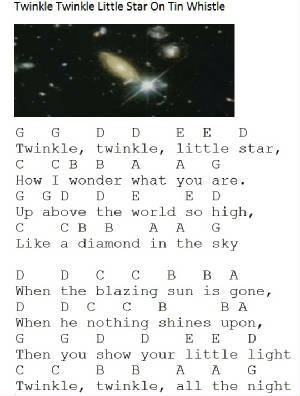 Twinkle Twinkle Little Star Sheet Music And Tin Whistle Notes. 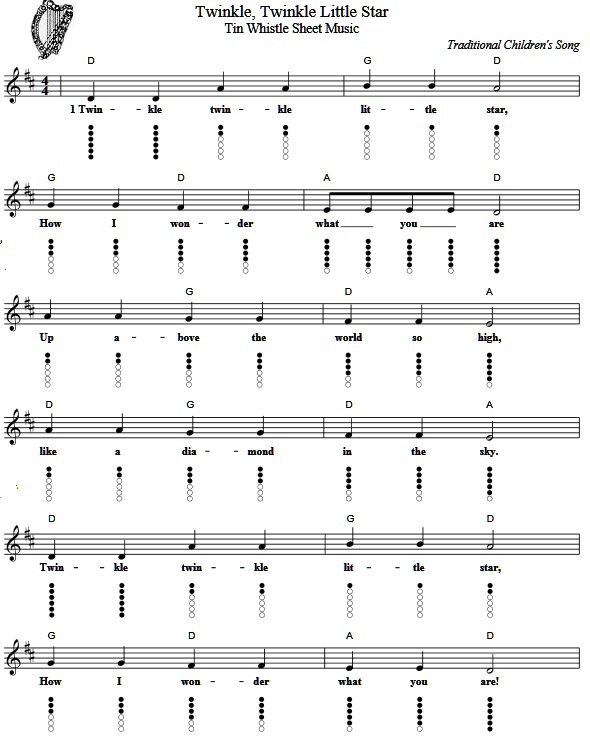 A traditional children's song. A lot of these old nursery rhymes use the same tune, for example this one is pretty much the same as Ba Ba Black Sheep and the same as The ABC song that kids sing when learning the alphabet. Here's the notes in letter form from the above piece of music starting with the low D.
Below is another way of playing it starting with the G note.